I work one-on-one with students and their families to optimize their high school years and then choose and apply to schools/programs that are a good fit. I specialize in working with students with learning differences. Along the way, students will learn about themselves and become more self-sufficient, in preparation for living independently after high school. This two-part consult is intended for students at the beginning of their high school careers; the objective is to start them off on the right foot by aligning their objectives and planning for the critical next few years. It includes a review of the student’s transcript and educational evaluations, as well as recommendations regarding academic course selection, extracurricular activities, college standardized testing, learning styles and student interests. 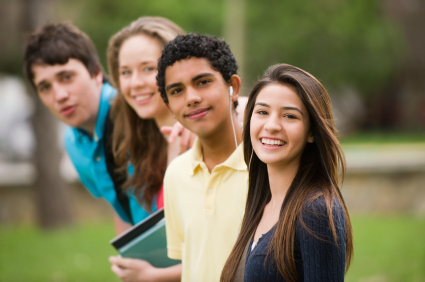 This extensive package is for students who want help developing a plan for the remainder of high school and assistance in choosing and applying to schools and programs. We’ll cover testing options, zero in on student interests/abilities, and develop a customized short list of schools or programs that are a good fit. In addition, I will also continue to assist your student through the application and school/program choice process. This package keeps me involved in the process all the way until a student is admitted / has decided on a program (through May 1 of senior year), and includes a family meeting in the summer after senior year to finalize support services.